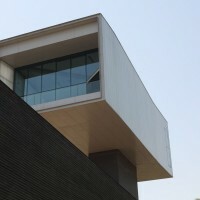 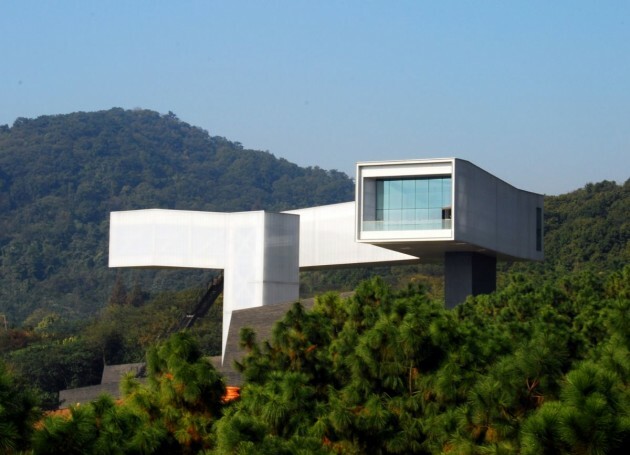 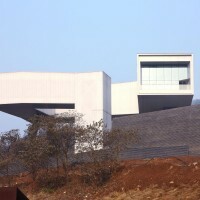 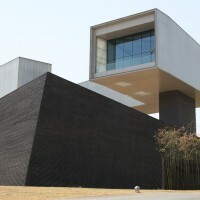 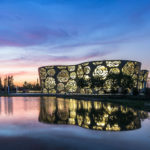 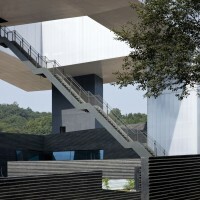 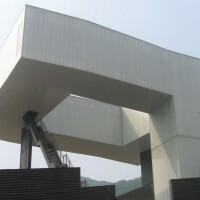 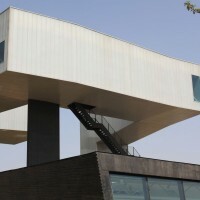 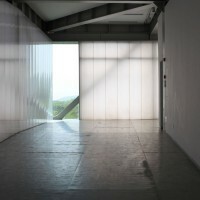 Steven Holl Architects have completed the Nanjing Sifang Art Museum in Nanjing, China. 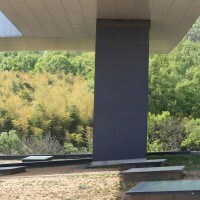 Perspective is the fundamental historic difference between Western and Chinese painting. 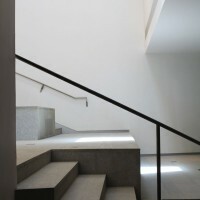 After the 13th Century, Western painting developed vanishing points in fixed perspective. 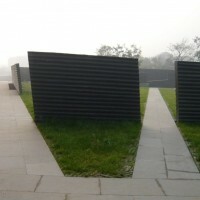 Chinese painters, although aware of perspective, rejected the single-vanishing point method, instead producing landscapes with “parallel perspectives” in which the viewer travels within the painting. 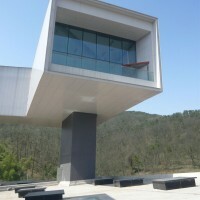 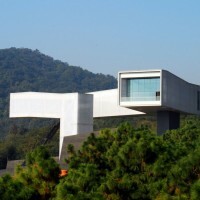 The new museum is sited at the gateway to the Contemporary International Practical Exhibition of Architecture in the lush green landscape of the Pearl Spring near Nanjing, China. 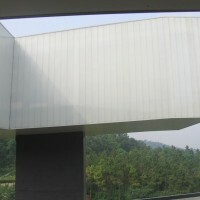 The museum explores the shifting viewpoints, layers of space, and expanses of mist and water, which characterize the deep alternating spatial mysteries of early Chinese painting. 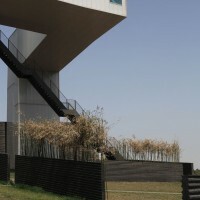 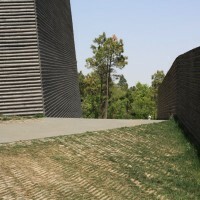 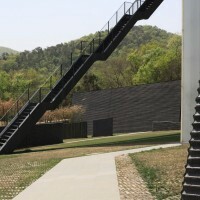 The museum is formed by a “field” of parallel perspective spaces and garden walls in black bamboo-formed concrete over which a light “figure” hovers. 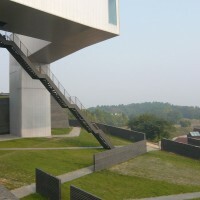 The straight passages on the ground level gradually turn into the winding passage of the figure above. 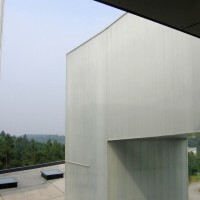 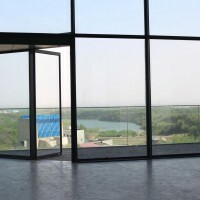 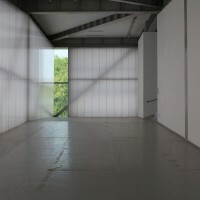 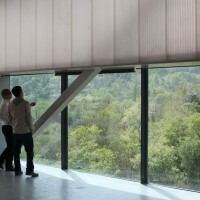 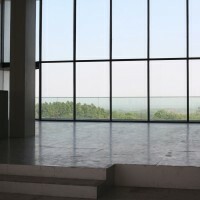 The upper gallery, suspended high in the air, unwraps in a clockwise turning sequence and culminates at “in-position” viewing of the city of Nanjing in the distance. 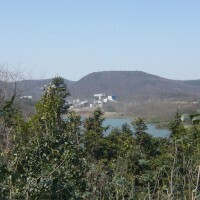 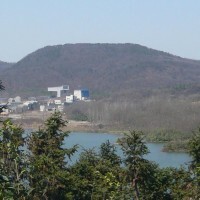 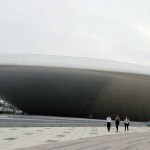 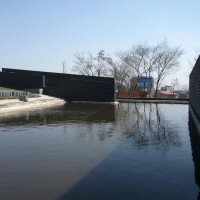 The meaning of this rural site becomes urban through this visual axis to the great Ming Dynasty capital city, Nanjing. 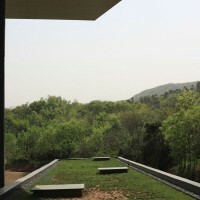 The courtyard is paved in recycled Old Hutong bricks from the destroyed courtyards in the center of Nanjing. 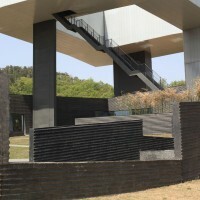 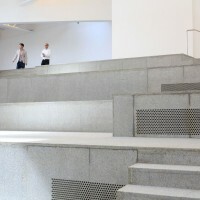 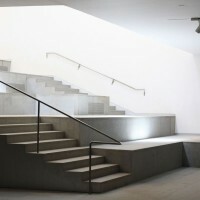 Limiting the colors of the museum to black and white connects it to the ancient paintings, but also gives a background to feature the colors and textures of the artwork and architecture to be exhibited within. 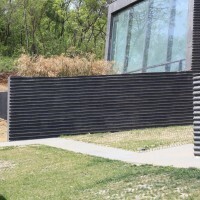 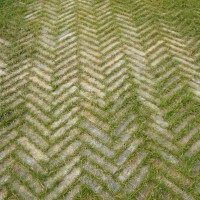 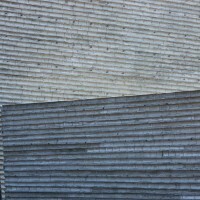 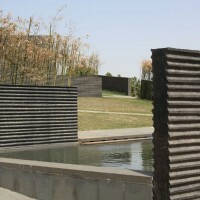 Bamboo, previously growing on the site, has been used in bamboo- formed concrete, with a black penetrating stain. 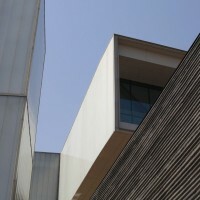 The Museum has geothermal cooling and heating, and recycled storm water. 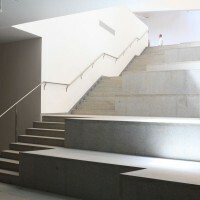 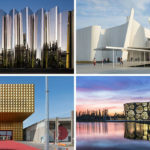 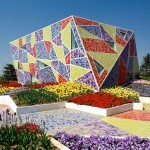 Visit the website of Steven Holl Architects – here.